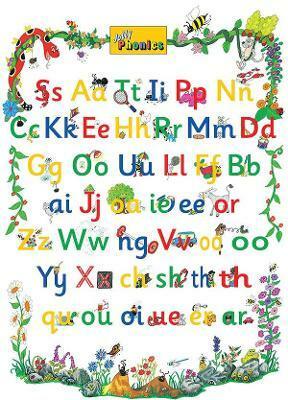 A single sheet poster of the 42 letter sounds. Arranged in the seven groups, each letter sound has an illustration that prompts the Jolly Phonics action and the sound. Also useful for revision in older classes.